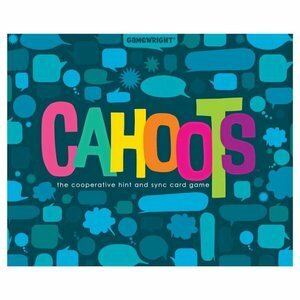 In this colorful card game, cooperation is key! Play cards to one of four piles by matching color or number. Work together as a team to complete a series of goals - without communicating what`s in your hand. Can you make all piles purple or green? Every card lower than four? All cards add up to 10? There`s only one way to win before time runs out: play in cahoots!